Join Jenna in the kitchen for custom, private cooking instruction. She takes the mystery out of home cooking and teaches you the “hows” and “whys” behind the recipes for consistent, reliable results and meals you can make with confidence. 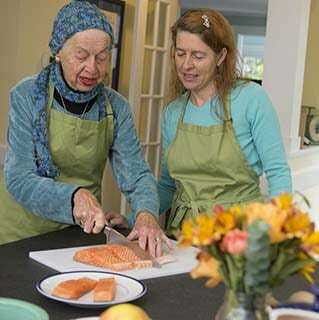 Her hands-on, individualized, skill and knowledge-based approach to cooking instruction make preparing homemade meals comfortable and accessible—and fun!—for everyone from the novice to the seasoned home cook. Food doesn’t have to be fancy or complicated to be good for you and taste good, but it tastes better when you feel confident in the process and proud of the product! 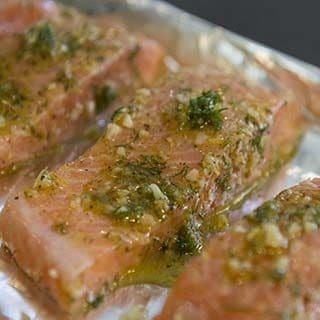 New to cooking or looking to build your kitchen skills? Unsure about tasting or cooking with a new ingredient? Worried about what you can eat when a new diagnosis means your diet needs to change? Looking for a tune up of your weekly recipe rotation and new ideas and resources to choose from? Jenna can help you! As a culinary nutritionist and registered dietitian, Jenna combines her two areas of expertise—cooking and evidence-based nutrition science—to teach you how to meal plan, shop for ingredients, and confidently create the delicious and healthy meals you want to serve and enjoy. Custom cooking instruction is just that—a program designed just for you, your family, or your group of friends based on your interests, goals, and skill level. Classes are created following a brief consultation with the client and take into account all dietary restrictions, food allergies, therapeutic diet needs, and nutrition goals. Cooking instruction is available in our White Plains, NY kitchen or in your location within Westchester, Fairfield, or neighboring counties. Sessions can be “stand-alone” events, part of a series to build skills and knowledge, or a component of nutrition counseling sessions. Individual custom cooking classes allow you to focus in on particular skills, work towards a goal, or can be used to illustrate concepts from nutrition counseling sessions. This format is particularly helpful for new cooks and for individuals or families who want to work on changing their diets or expanding their food choices at home for general wellness, weight management, or for managing a chronic health condition. 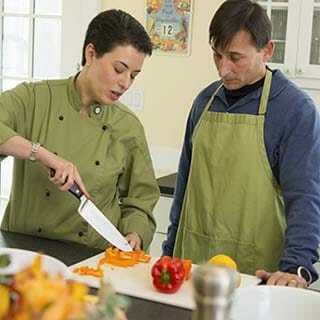 Find out more about our culinary nutrition services. Private classes can be a fun and instructive activity for a group—whether a family gathering, a team outing, a couples’ date night, or a group of friends (adults, teens or kids over age 7). Cook Learn Live also goes on the road to offer classes for your corporate team or community organization. Nutrition counseling alone can help you to understand the basics of dietary change, but cooking new recipes and tasting new foods really helps to hit the message home and make your transitions easier and more enjoyable. Nutrition Counseling and hands-on cooking classes can be combined and customized to help you meet your health and nutrition goals. Below is a sample of the classes we have offered previously. Contact us to discuss tailoring a session(s) for you. -Knife skills, sauté skills, roasting, grilling, baking and more. Jenna worked with me on allergy-friendly recipes for my kids and helped me become more confident in the kitchen. The new recipes and ingredients have been a big hit with my whole family, and I feel more comfortable experimenting with new meal ideas. Even my old recipes are coming out better and taking less time to prepare than they used to. Jenna’s knowledge of cooking goes beyond teaching these skills to a more comprehensive understanding of the science behind the cooking techniques and ingredient combinations. Her classes have provided me with more confidence in the kitchen, a more diverse cooking “toolkit”, and many tasty and easy recipes to cook. Classes are generally 90 minutes to 2 hours long. Pricing includes all materials for the session and can vary depending on ingredient costs. Two-hour classes taught in our kitchen start at $250 for up to two participants, while sessions in client homes start at $350. 90-minute sessions start at $195 and $295, respectively. Additional participants are $75 each. Package pricing is available for multiple session packages and for family sessions. Gift certificates are available. Cook Learn Live’s services are reimbursable through NYS OPWDD Self-Direction for eligible participants. Special pricing is available for clients of community partner organizations, including WJCS POINT, Select Human Services, and Westchester ARC. Please contact your program supervisor or caseworker for more information. Special pricing is available for community and non-profit groups. Please contact us directly to discuss pricing for children’s and teens’ programs, non-profit groups, and corporate events. We can work with your group’s budget to design a program that best meets your needs.